1986, finished in Alpine White with black leather interior. This early '86 944 Turbo has covered 124,000 miles from new with a fully documented service record that is supplied with the car's respectable history file that also includes the Driver's Manual and wallet. Supplied new with a strong specification including: air conditioning, detachable electric sunroof and most notably, 16'' Grand Prix White offset Fuchs wheels. The car presents very well having recently benefited from a re-trim amongst other cosmetic work. The car could now benefit from some other light work to bring it up to the next owner's satisfaction. Please note. This car is being sold as a light project but is supplied with one years M.O.T which the car has just passed. I will be commencing the work myself next month and subsequently adverting for more money if not sold. 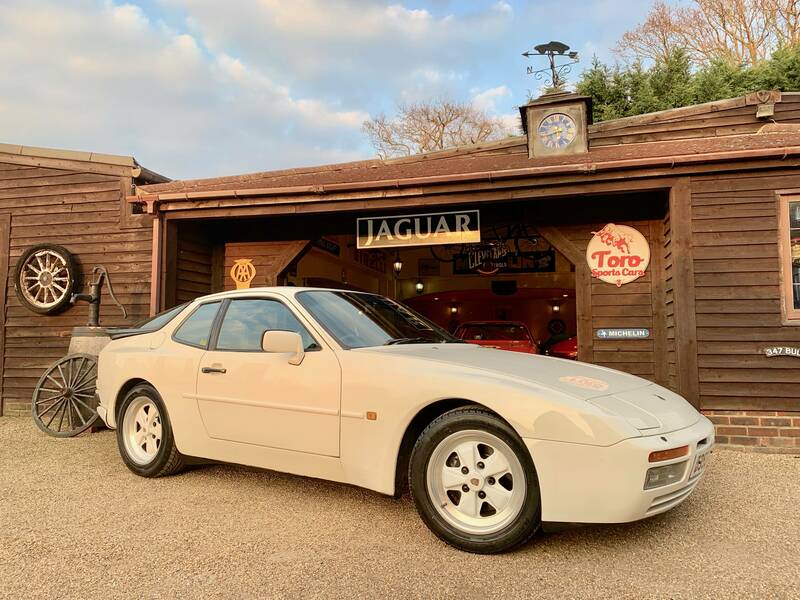 A great spec' 944 at a great price.